Is it snowing in Marmot Basin ?Thank you! 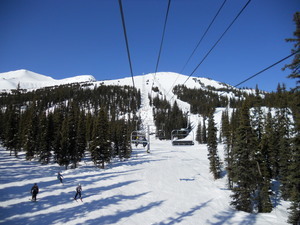 Located in the rugged landscape of Jasper National Park in the Canadian Rocky Mountains, Marmot Basin is as unpretentious as it is pristine. 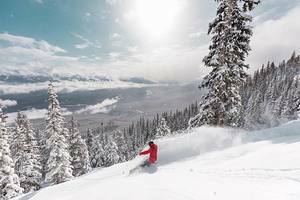 Overlooking breathtaking mountain vistas, you will find the 1720 acres, 91 runs and 3,000 vertical feet of varied terrain that make up Marmot Basin; the highest base elevation of all Canadian ski areas. 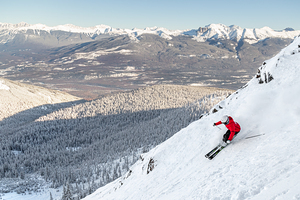 Marmot’s trails are split equally between easy, intermediate and advanced, making this an ideal destination for skiers and boarders of all abilities. 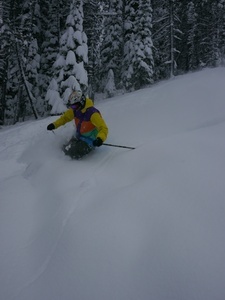 There are 4 distinct areas of the mountain that are laid out in a very user friendly way, so going from steep alpine bowls to bumps to cruising through glades is just a chairlift or two away.